Like to support a company who do good things for others? If you answered yes to all of the above, I'd recommend you carry on reading! 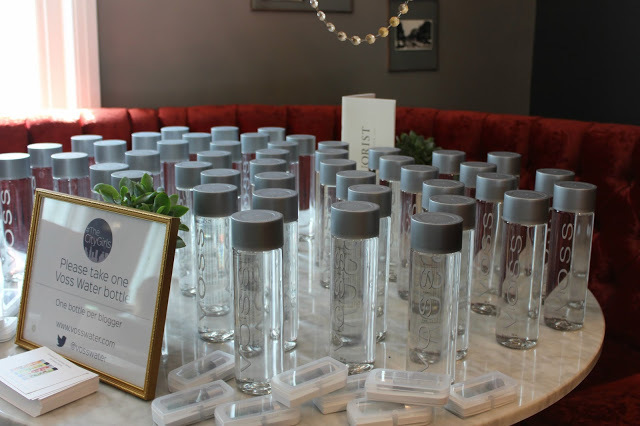 At the beginning of 2014, when planning CityGirls events, I took to Twitter to find a drinks company to help hydrate our bloggers at the events we host. After only a matter of minutes, I stumbled across VOSS Water; an artesian water bottled at source in Southern Norway. You've probably seen pictures of VOSS on my Instagram over the last year and wondered what all the hype is about? 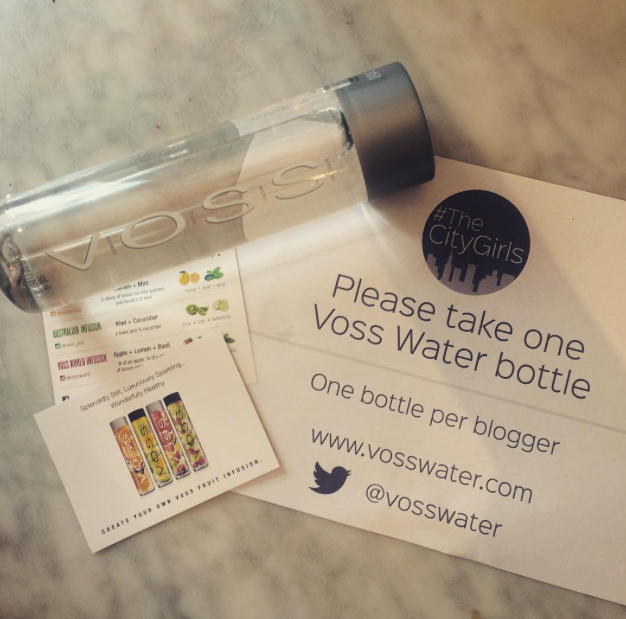 Well, this post is to explain a little more about VOSS and why I think its a great company to have onboard with TheCityGirls events! 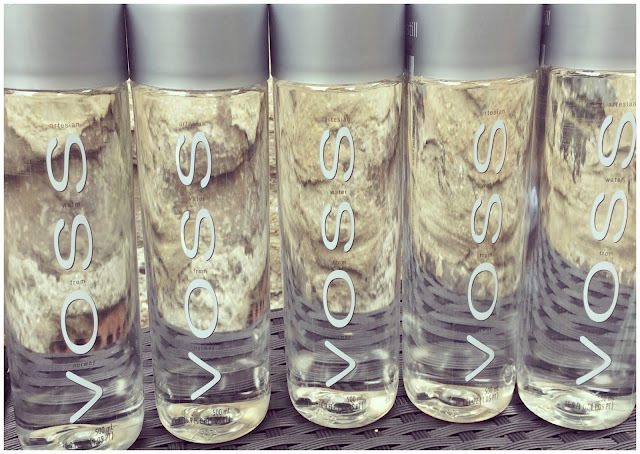 VOSS Water is filtered naturally by layers of sand and rock within an underground isolated aquifer. This process of filtering prevents the water making contact with the outside air and other nasty pollutants meaning VOSS Water has a crisp,clean and smooth taste. I know, I know, your probably thinking, how can water be any different from ermm water? Well, until you've tried it, its hard to explain. A water tasting smooth? Yes, it just does. Don't knock it till you've given it a go, believe me, you'll notice. As well as the beautiful taste, VOSS Water is also very ascetically pleasing to the eye. It's sleek cylindrical bottle is a thing of simplistic beauty and something that draws peoples attention whenever I have it on my desk at work. 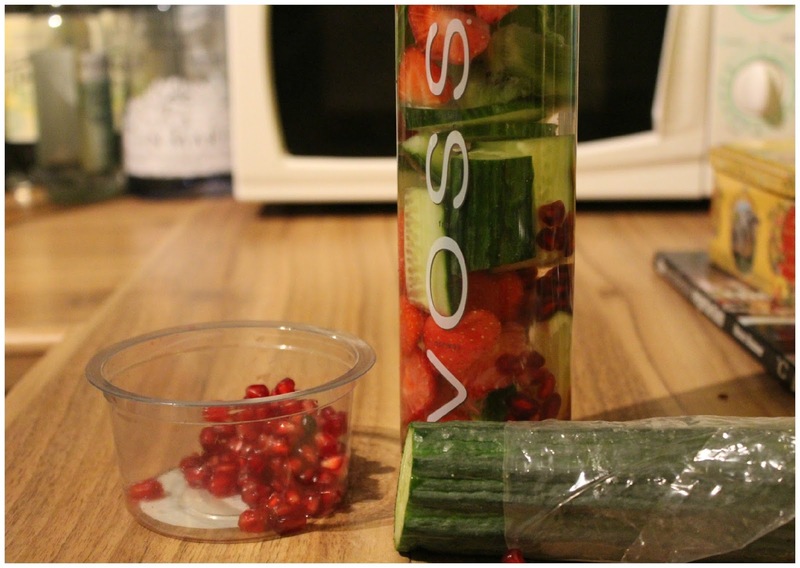 I sometimes like to infuse my VOSS Water with Fruit overnight- this time I used cucumber,strawberries,lemon, some mint leaves and finally some pomegranate seeds. What makes VOSS Water even more appealing other than taste and they way it looks? Their huge efforts to reduce their carbon footprint and also,The VOSS Foundation. 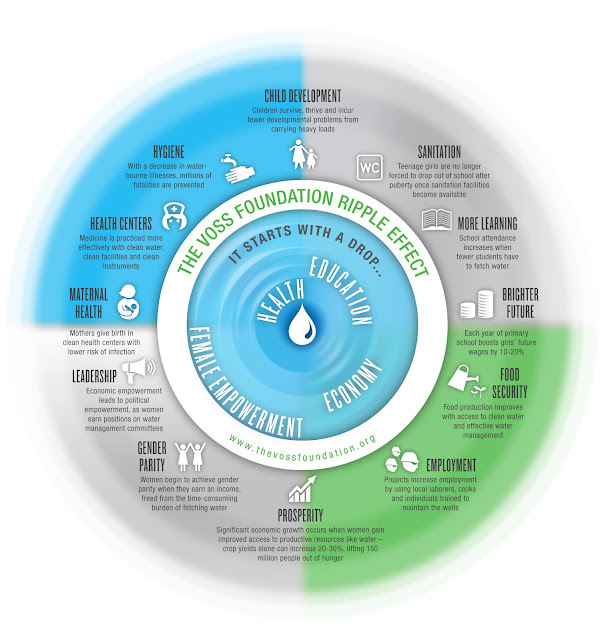 One of the key points that I noticed about the VOSS Foundation is that they aren't just telling consumers- "oh we will donate x amount of your sale to a less privileged country and then just hope for the best"- their approach is to get passionate people out to these countries and assist with building a sustainable future for generations to come.Not only do VOSS help communities with their day to day water needs, they also run campaigns such as Women Helping Women and #ONEWELLATATIME to raise awareness about the needs of those in countries where finding drinking water isn't as easy as just turning on a tap in your kitchen. You can find out more about the VOSS Foundation here. Have you tried VOSS Water?